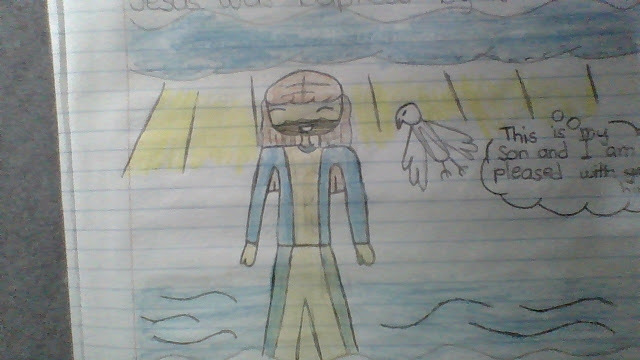 Learning Intention:We are learning to illustrate the story of Jesus baptism. Success Criteria:I know I am successful when I can illustrate how Trinity is shown in the story Jesus baptism. I like your drawing Aleenah. Great job.